RSVP: Please RSVP to e.blight@westernsydney.edu.au by Tuesday, 12 February 2019, for catering purposes only. Museums have always been points of connection across time, locations, content formations and communities. How do digital infrastructures, technologies and media impact museums’ options of making connections? The talk presents answers, offers practical examples of how to make new connections, and discusses some of the obstacles in their generation. For most connections also involve disconnection. Answers are based on results from a Danish R&D programme, Our Museum, whose 13 projects aim to foster cultural citizenship through co-creation and evaluation of museums’ connective communication and innovative audience engagements. Kirsten Drotner is professor of media and communication studies at the University of Southern Denmark and founding director of two R&D programmes, DREAM and Our Museum. Her research focuses on audience studies, children’s media and information literacies, and digital heritage communication. She is (co-)author and (co-)editor of over 200 scholarly articles and book-chapters and more than 30 books, most recently Museum communication and social media: The connected museum (co-edited, 2013) and The Routledge Handbook of Museums, Media and Communication (co-edited, 2018). 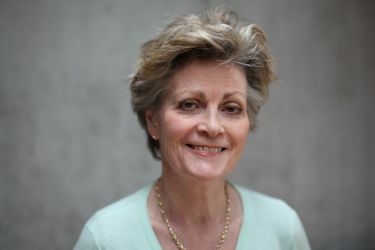 An elected fellow of the Royal Danish Academy of Sciences and Letters, the Academia Europaea, the International Communication Association and recipient of the Association’s Applied Research Award, she is passionate about bringing research evidence to bear on policies and practices.